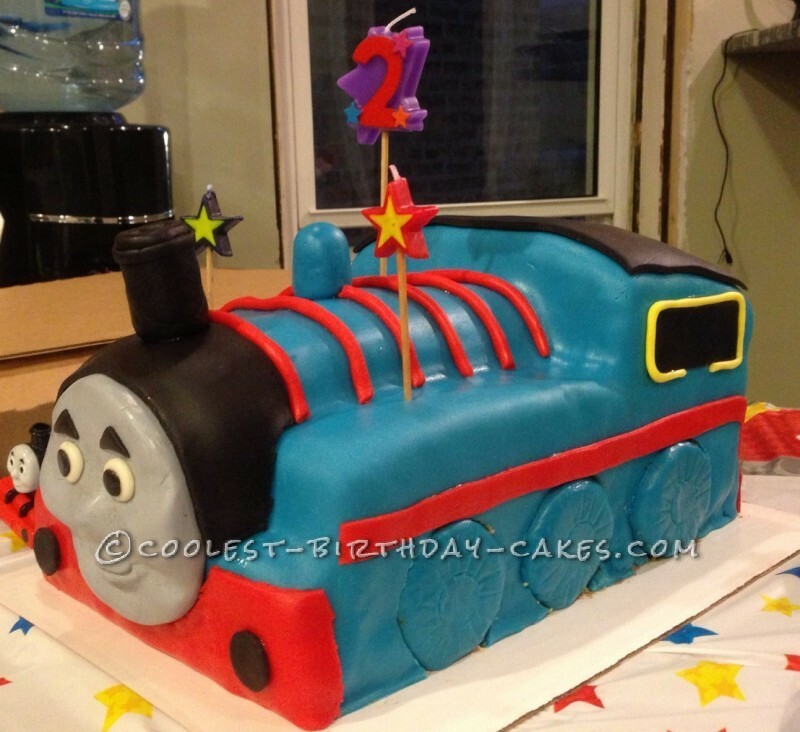 I just made this cake for my son’s 2 year old birthday party since he has become obsessed with all things trains and it was a great success. I think it’s something to be proud of when most of your guests take pictures of your cake on display. Here are the basic steps I took but I would say use your own artistic touch. 1) Bake 4 9X13 sheet cakes. I alternated layers of butter and devil’s food cake. 2) Stack all 4 layers and trim/shape/cut. The bottom 2 layers are the base while the top 2 were shaped into the top of the cab. 3) Cover with (chocolate) butter cream between, on top and sides of all layers. Used butter cream recipe with 3 parts butter, 1 part shortening to get a firmer cream to hold shape. Refrigerate overnight. 4) Make fondant. I used marshmallow. Color royal blue and roll out large enough to cover entire cake. Use same color fondant to cover 6 cookies to make wheels. 5) Color black, red and yellow fondant for additional train detail. 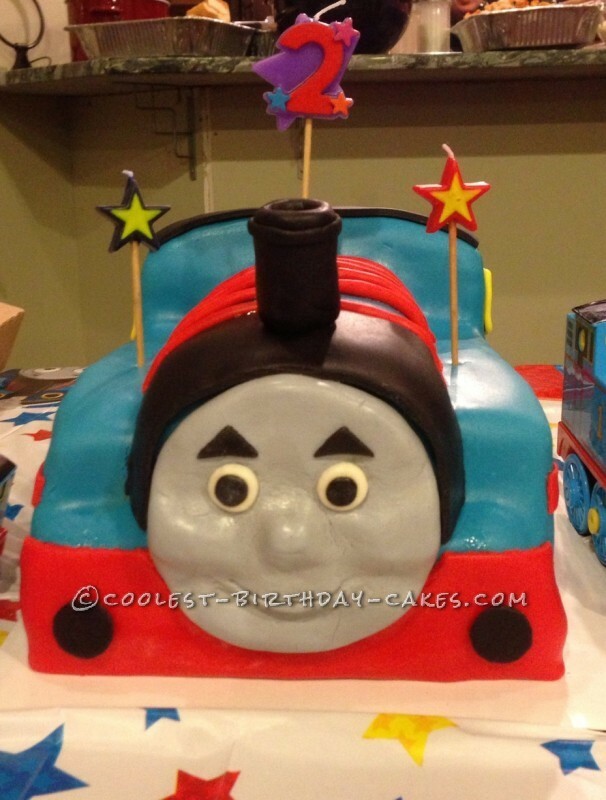 Face made out of same marshmallow fondant colored light gray and molded with Thomas’ facial features. All details “glued” on with piping gel.